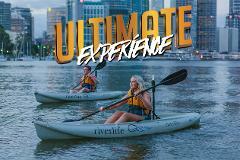 With an Ultimate Experience Voucher you can choose from one of these four ultimate experiences with Riverlife! 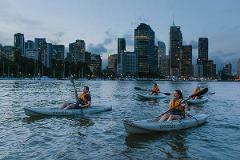 Discover Brisbane's golden hour from a different perspective and take an easy sunset paddle up the river followed by dips and drinks on the banks of the Brisbane River. 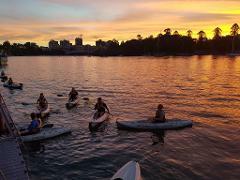 Enjoy a relaxing illuminated kayak journey. When you return to shore, you’ll be met with buckets of fresh, ocean king prawns, bread rolls and an assortment of chilled beer, wine and soft drinks, served under one of our riverside marquees. Looking for some real adventure? 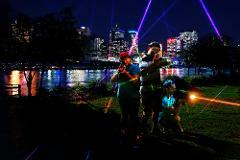 Challenge yourself in the great outdoors and experience climbing the lit up weathered walls of the Kangaroo Point Cliffs at night! Followed by a bucket of prawns and chilled beer, wine and soft drinks. Brisbane’s most iconic experience. When you return to shore enjoy a traditional Aussie BBQ an assortment of chilled beer, wine and soft drinks, served under one of our riverside marquees. Looking for some real adventure? 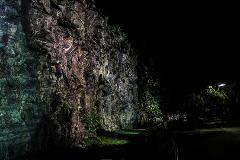 Challenge yourself in the great outdoors and experience climbing the lit up weathered walls of the Kangaroo Point Cliffs at night! Followed by a fresh BBQ and chilled beer, wine and soft drinks.